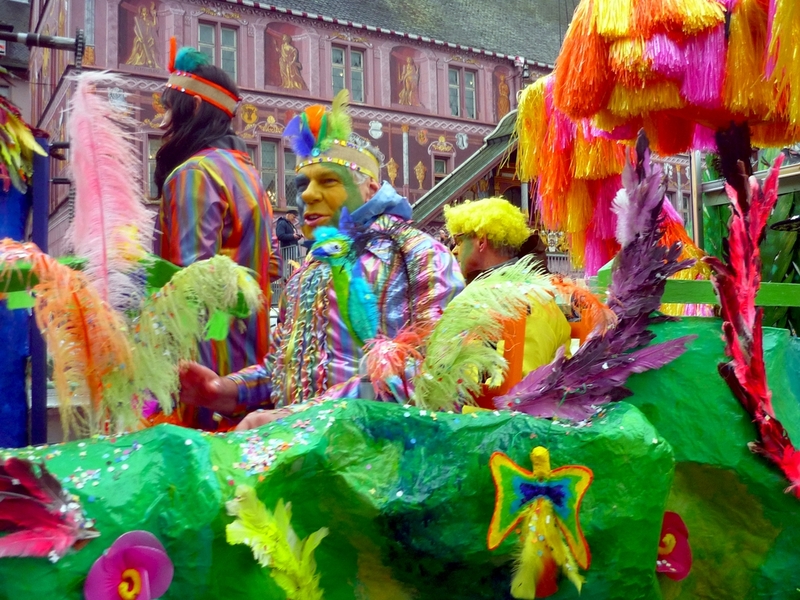 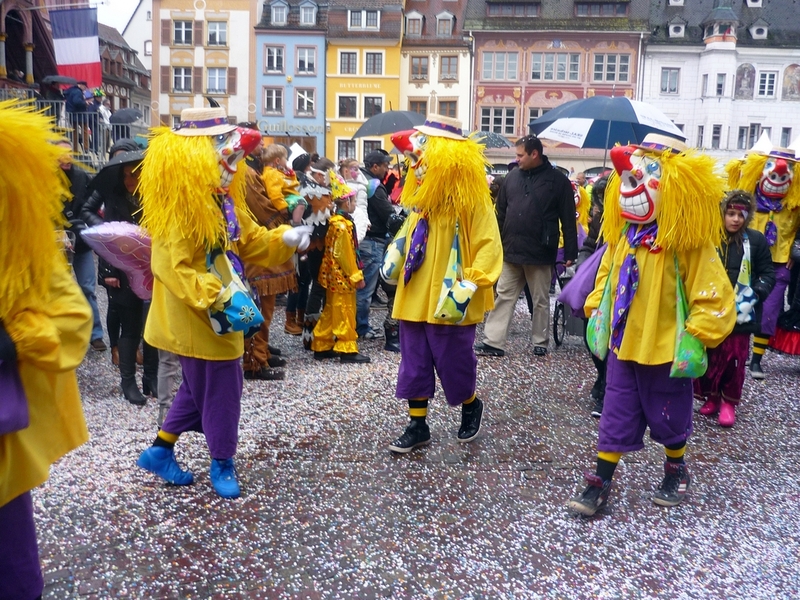 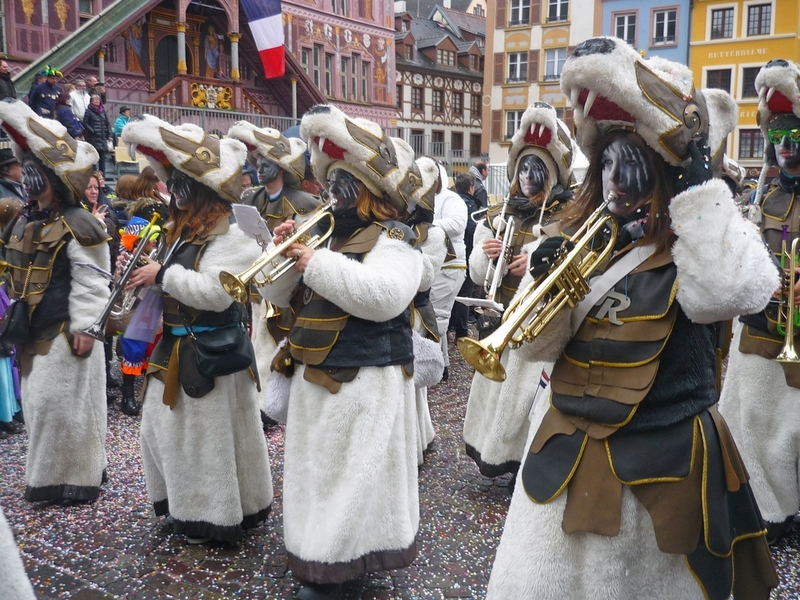 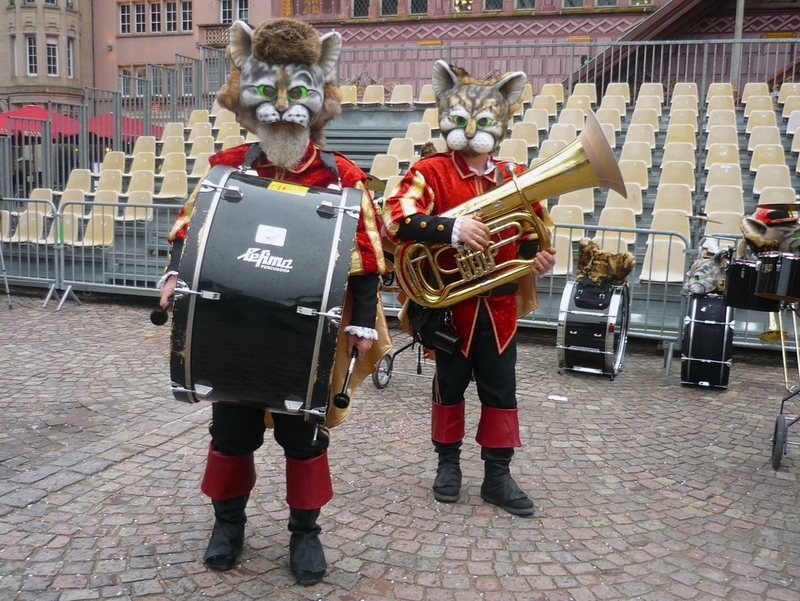 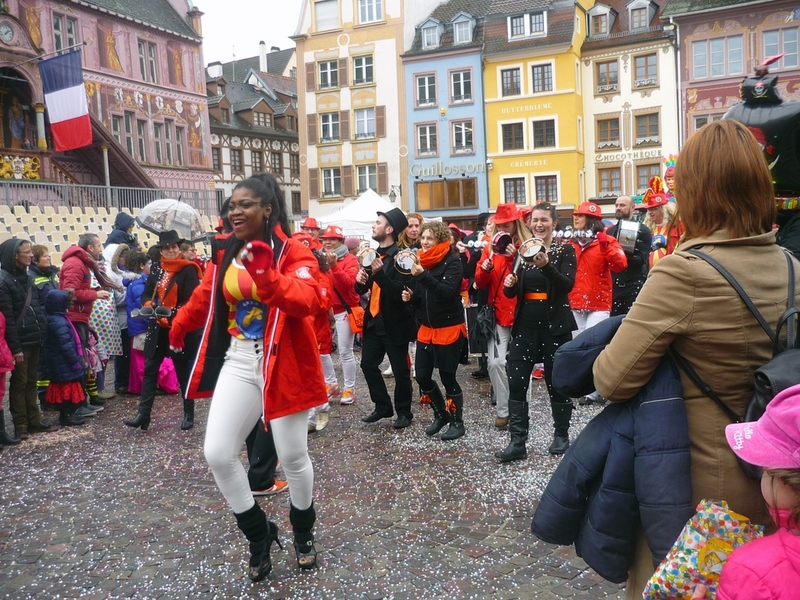 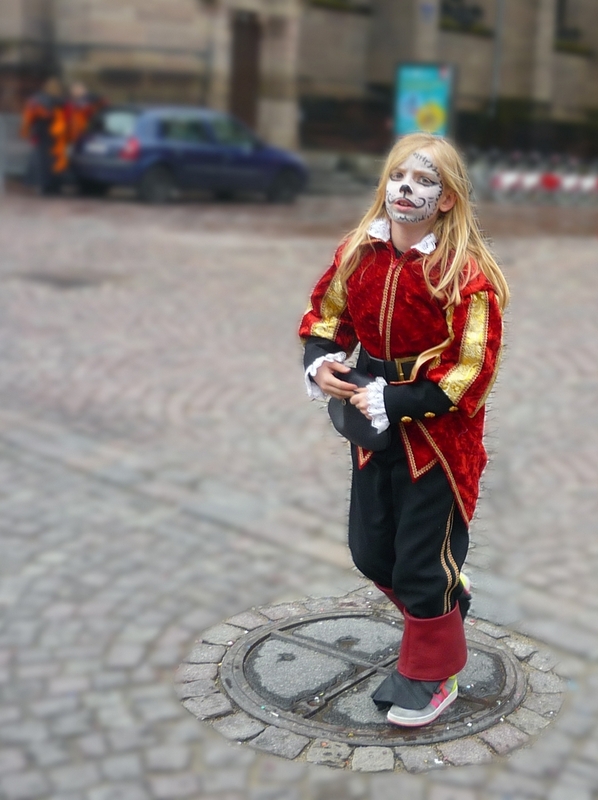 The colourful and vibrant Carnival of Mulhouse has a strong tradition in the Alsace region. 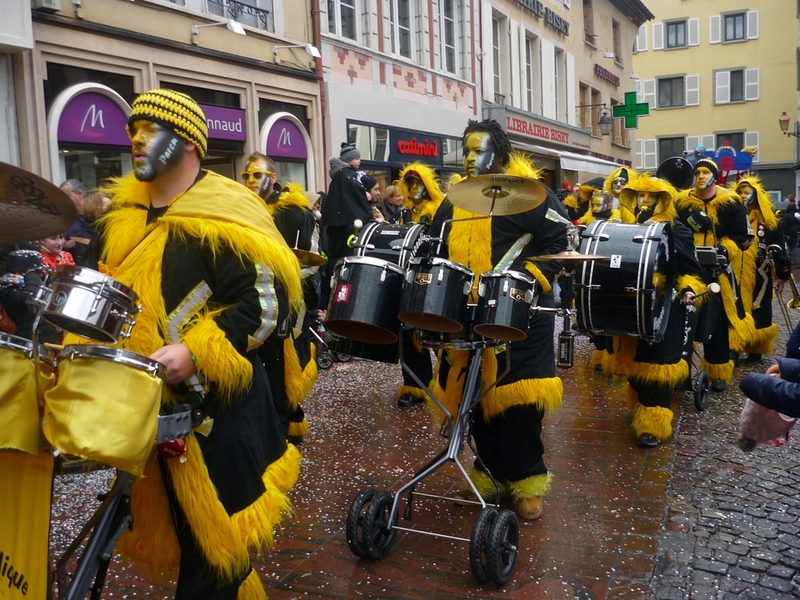 In 2018 it celebrated its 65th edition. 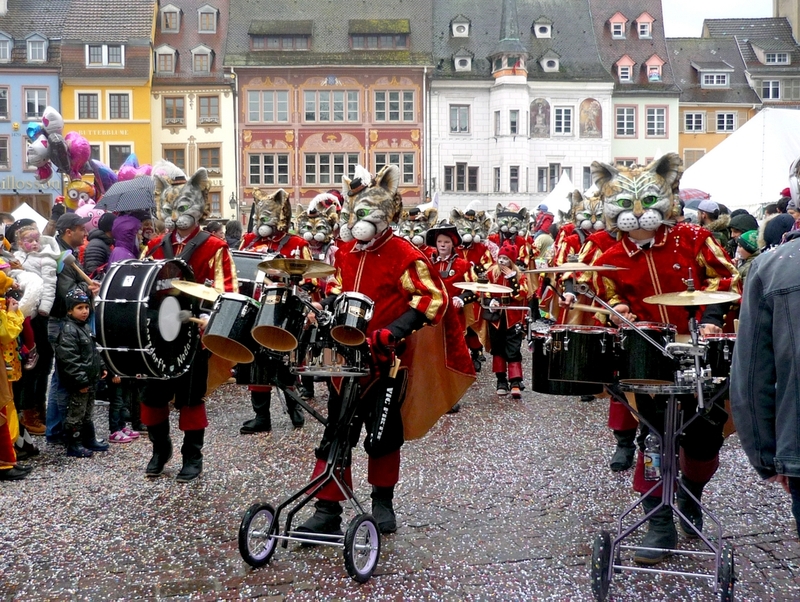 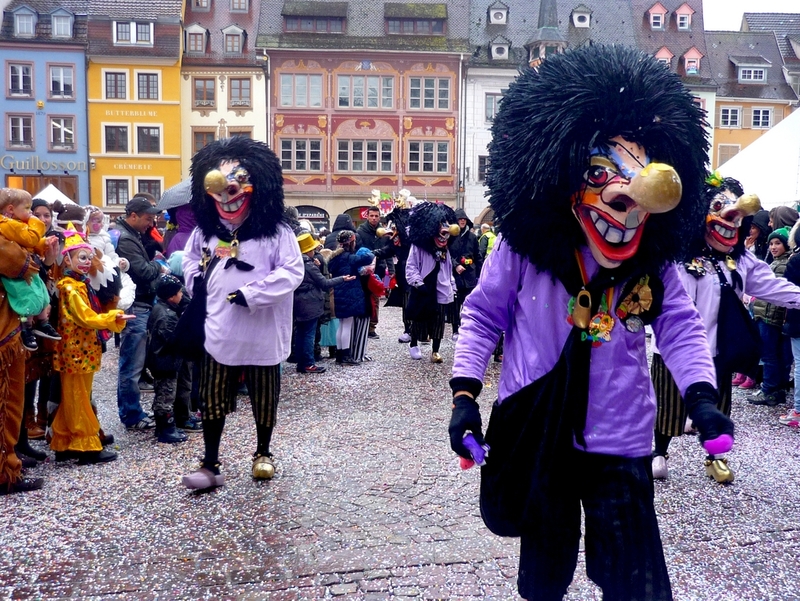 The Mulhouse Carnival shows similar features to the many carnivals celebrated in southern Germany and northern Switzerland. 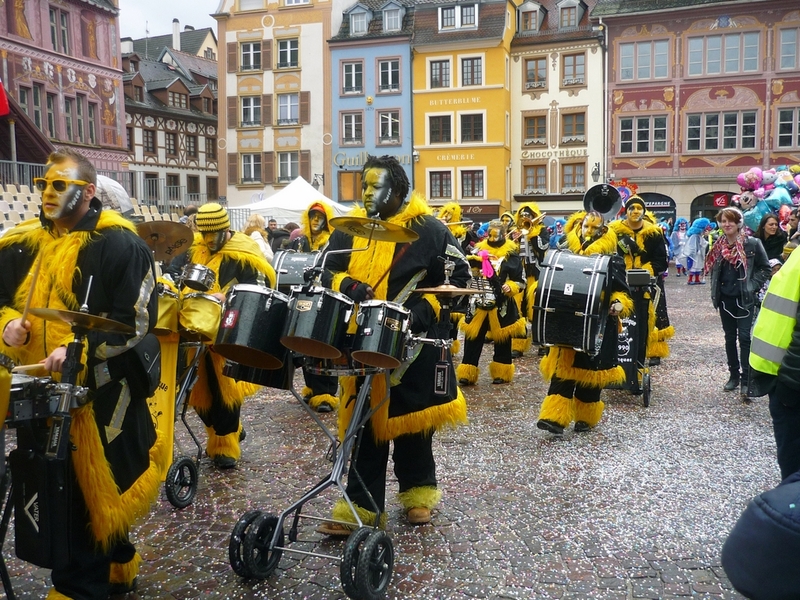 The Carnival of Mulhouse takes place during three days in Winter when the historic centre is the centre stage for large parades. 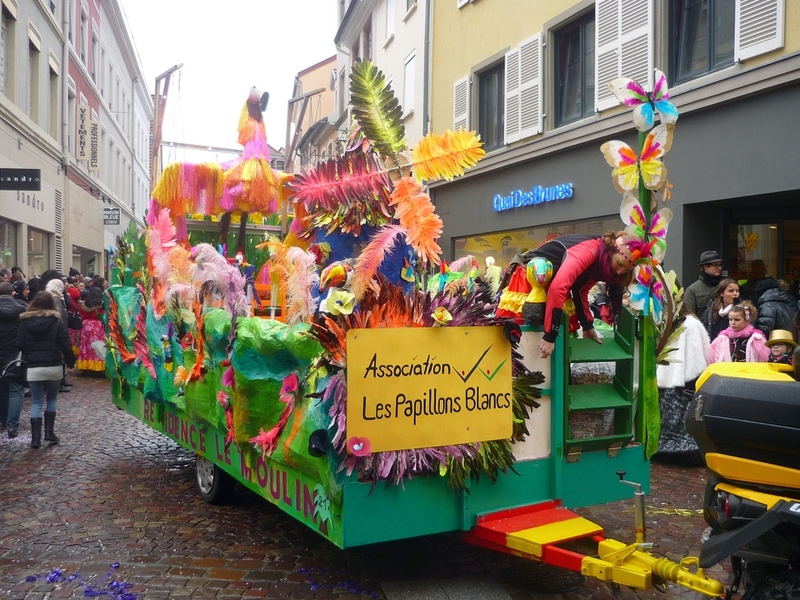 The festivities involve more than 100 associations (community centres, uni students, etc) which participate in the colourful and noisy processions and in the making of floats. 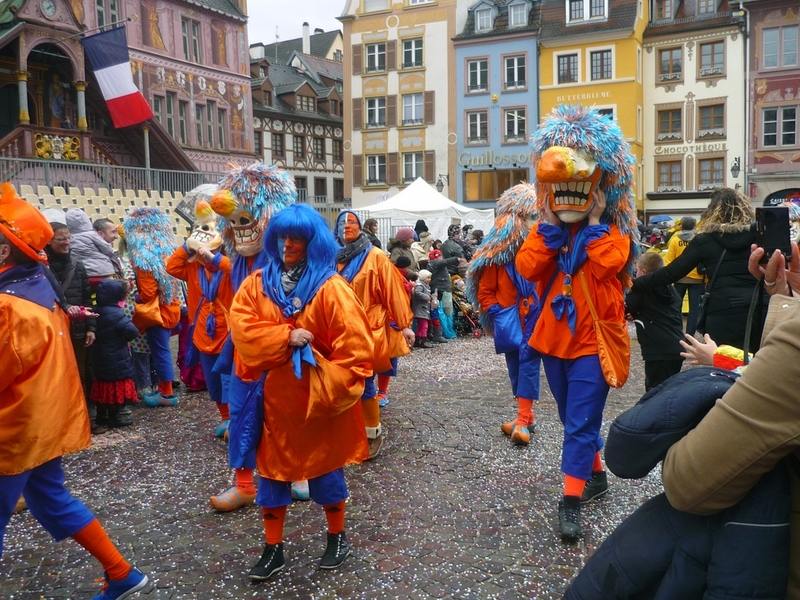 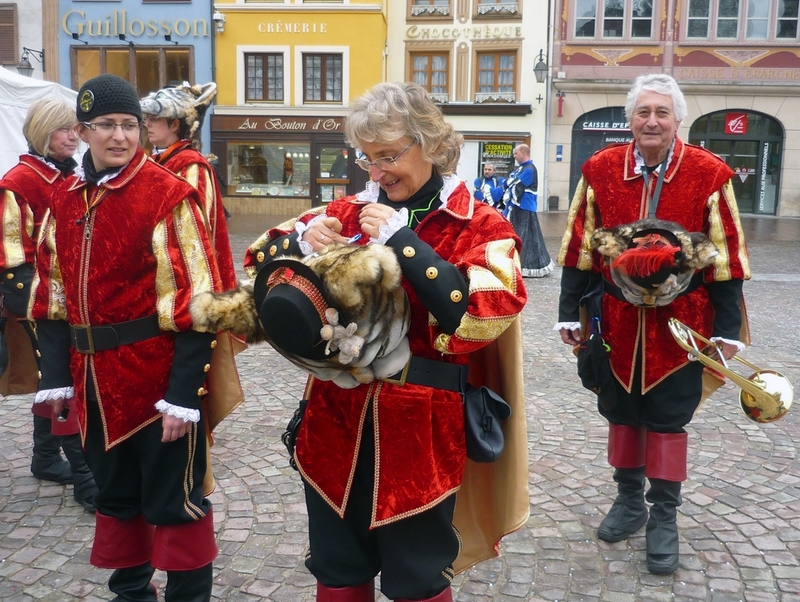 The carnival attracts an estimated 2,200 dressed up French, Swiss and German revellers marching, dancing and singing on the streets of the town. 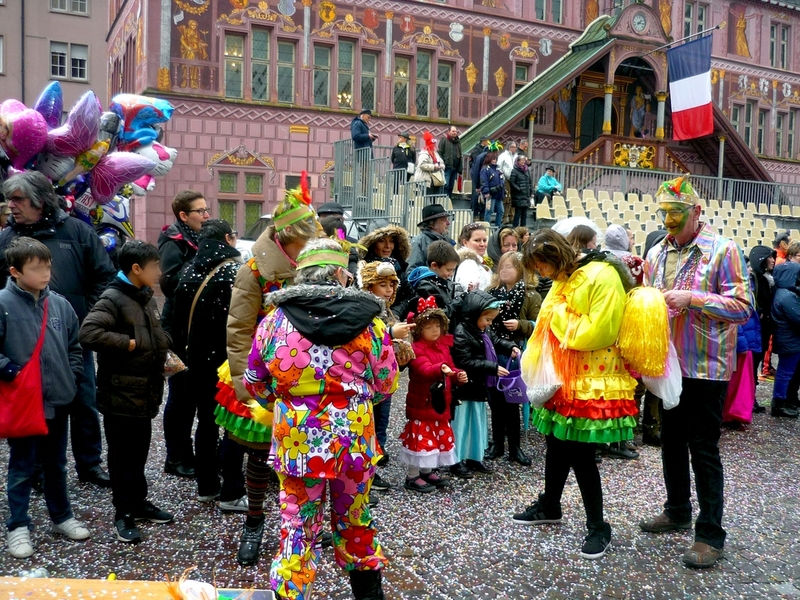 The key handover ceremony takes place in the presence of the Mayor of Mulhouse on Friday night. 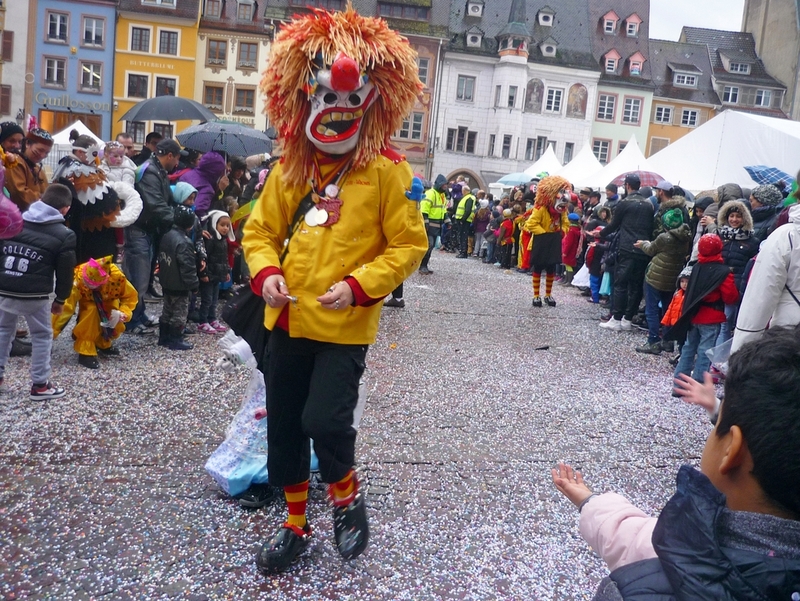 On Saturday afternoon the Children’s carnival starts at 2.30pm and is a wonderful and cheerful procession specially run for families. 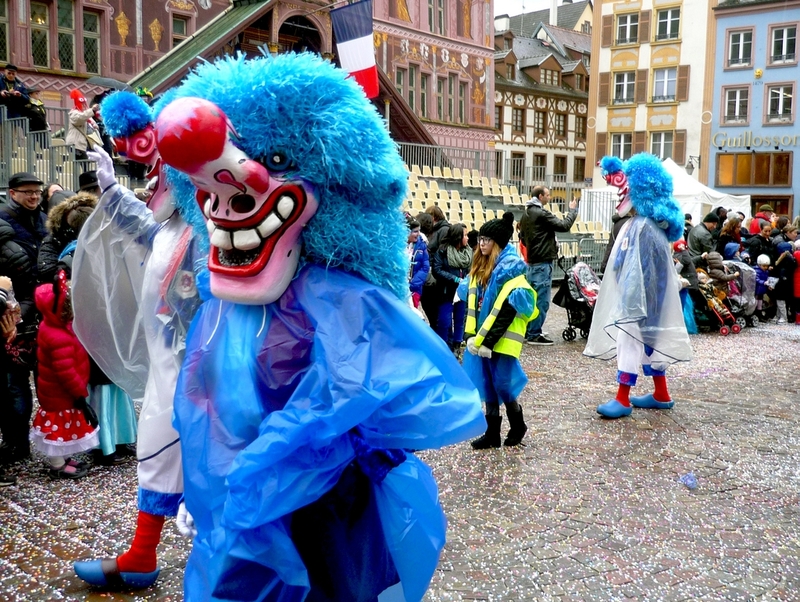 On Sunday afternoon the Great International Parade starts at 2.30pm and runs through the historic town centre of Mulhouse. 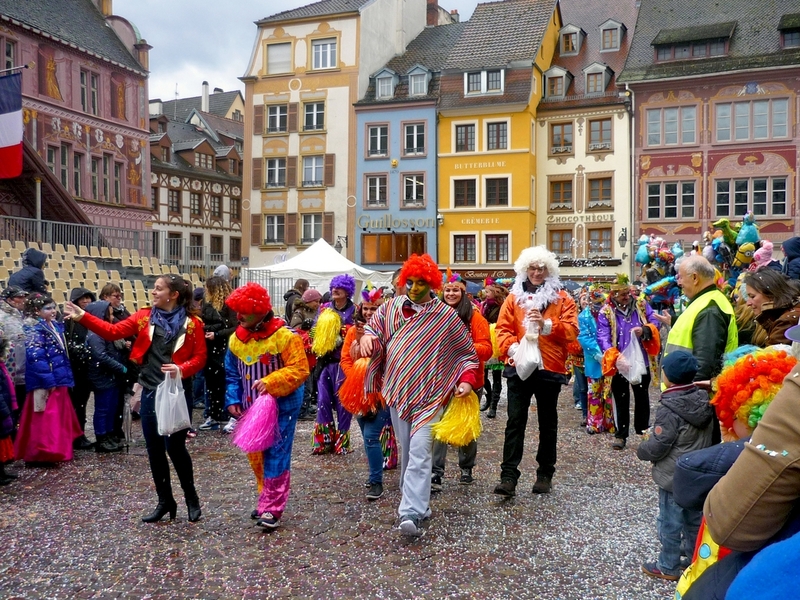 In the evening a special event is organised under the big Carnival tent on Place de la Réunion. 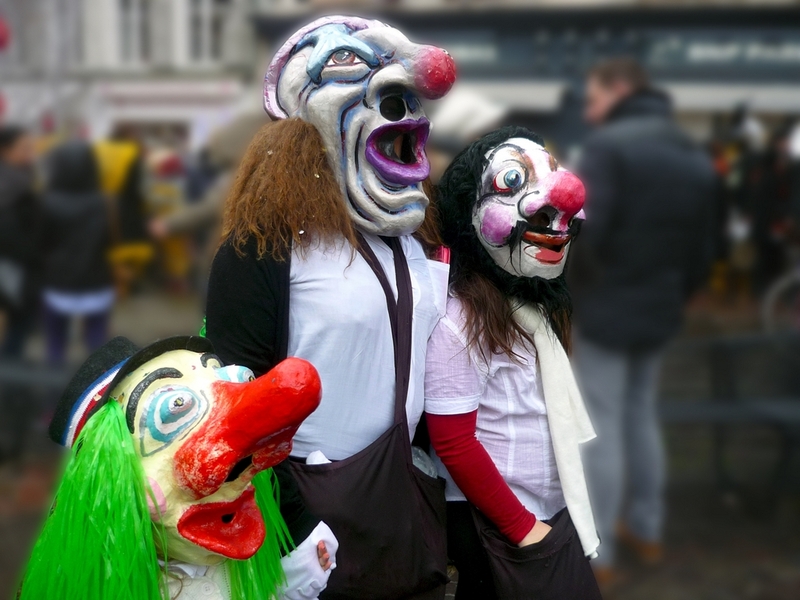 The festivities are supplemented by a number of workshops including Carnival pastries, masks creation, face-painting and more. 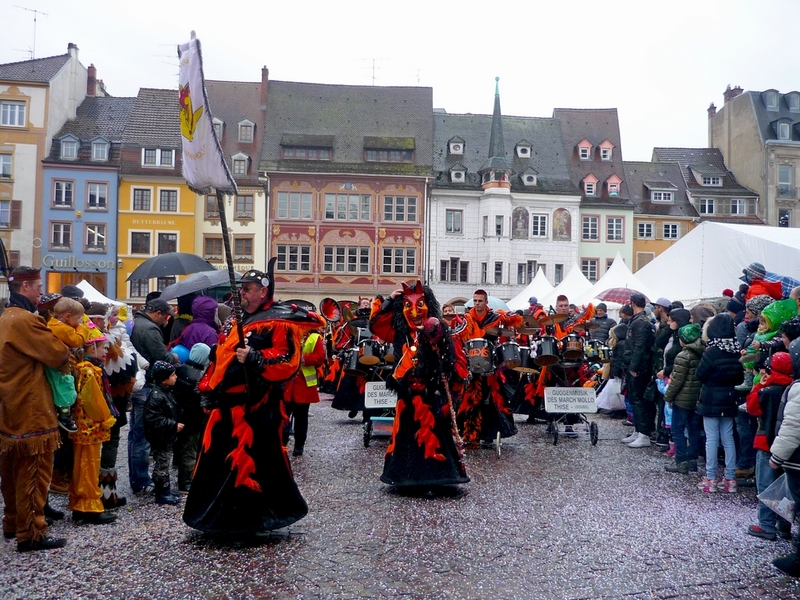 Find out more about the city of Mulhouse.